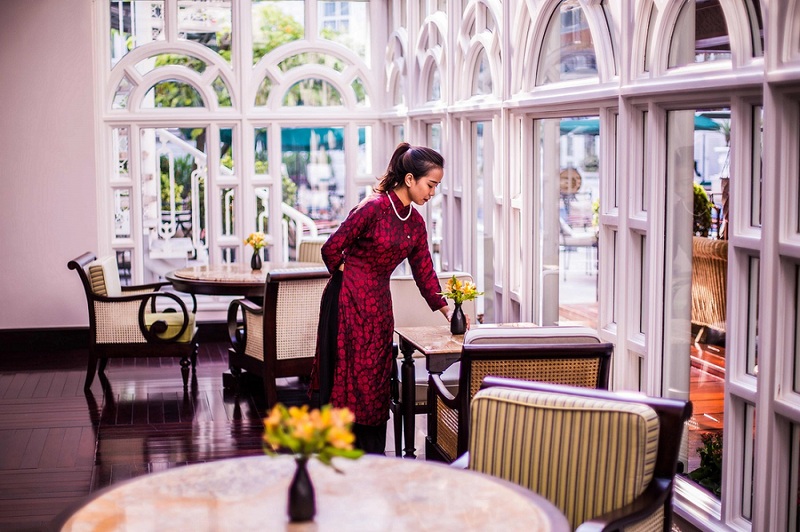 Overlooking beautiful hotel garden courtyard, this airy venue offers Hanoi’s legendary cocktail lounge experience. In addition to the scrumptious menu, Le Club Bar features a delectable chocolate indulgence and afternoon tea. Jazz performances take place everyday except on Mondays. Limited selections of foods of NYE dinner buffet. I have enjoyed the Metropole for many years. Wish pricing didn’t go up as I age but I always feel at home here. The staff are wonderful and please always keep the beauty and integrity of its design. 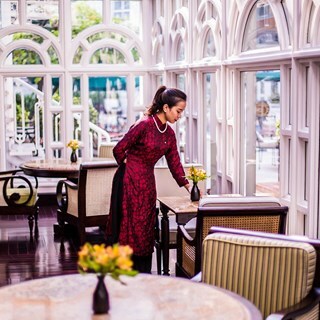 The blend of colonial with amazing touches from Vietnamese artisans is truly elegant, rich clean details. I am never disappointed.